Store your files in the cloud! Access documents, photos, videos and more — anytime, anywhere with online storage. 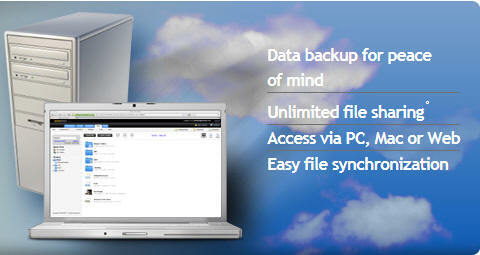 Discover a better way to back up, store and share your files with Online Cloud Storage. Enjoy a secure, affordable way to access to all your documents, photos, music and more! Powerful corporate-class cloud email in affordable, flexible packages. Minnesota small-business prices. No IT resources required! Give your site a home in the cloud. Our secure, reliable Minnesota cloud hosting plans feature unlimited bandwidth and free software. Dedicated cloud server plans feature lightning-fast, state-of-the-art Intel® Core™ processors, all backed by the best LIVE service and support in the industry. Now everyone can afford the reliability, security and scalability of Cloud Computing. Virtual cloud servers grow as your needs grow. All the power and control of your own Dedicated Server for less! RAM and storage are guaranteed with our Virtual Cloud Servers - we never overload. Protect transactions and customer data with a cloud SSL security certificate. Let customers know their private details are safe. Same security as our competitors for up to 90% less. Now includes a FREE website malware scanner. Powering Minnesota cloud computing since 1997.